Pelullo, an Elkins Park businessman, is one of seven defendants in the federal fraud case being tried at the federal courthouse in Camden. The most notorious defendant is mobster Nicodemo S. Scarfo, the son of jailed former Philadelphia mob boss Nicodemo "Little Nicky" Scarfo. The government alleges that Scarfo and Pelullo orchestrated the systematic looting of a Texas-based mortgage company, FirstPlus Financial, by secretly taking control of the board of directors in June 2007. Over the next 10 months, authorities allege, Scarfo and Pelullo helped themselves to $12 million. The money was spent to purchase luxury items such as an $800,000 yacht named "Priceless," a $200,000 Bentley, and a $200,000 downpayment on a $700,000 home in Egg Harbor Township. I told him, 'You don't want me on the stand.' He called that a `threat' and said I would remain on the list. Everything I know about this case has appeared in stories that I wrote for The Philadelphia Inquirer from the time search warrants were executed in the spring of 2008 until I left the paper in October 2012. I have probably written more about the alleged scam than anyone else. In his motion, Kennerly said the courts are usually protective of a reporter's First Amendment rights. "Both this Court and the Third Circuit Court of Appeals have firmly held that news reporters enjoy under the First Amendment a qualified privilege for news gathering activities," Kennerly wrote. It's a "privilege premised on the principle that compelled production 'can constitute a significant intrusion into the news gathering and editorial processes' and 'may substantially undercut the public policy favoring the free flow of information to the public.'" "Aditonally, New Jersey statutory law expressly confers a privilege on any person engaging in news gathering activities," Kennerly wrote. "George Anastasia is considered a news reporter as defined by New Jersey statutory law and any information that he possesses is subject to this reporter's privilege." To overcome a reporter's qualified privilege, Kennerly writes, Pelullo's lawyer has to demonstrate that he tried to get this information from other sources, that the information is only available through the journalist and his sources, and finally, that the information sought is crucial to the case. "Since defendants have failed to show that any testimony they expect Mr. Anastasia to provide meets any of the criteria necessary to overcome his newsperson's privilege, he must be removed from the witness list," Kennerly concluded. In an 8-page opposition motion, however, attorney J. Michael Farrell argues that Anastasia's First Amendment rights must be balanced against "countervailing interests," and may be outweighed by the "evidentiary needs of a criminal defendant." "Mr. Anastasia possesses relevant knowledge and has admissible testimony to provide constitutionally necessary to the defense of defendant Pelullo and other defendants," Farrell writes. "Defendant Pelullo has a good faith basis for identifying Mr. Anastasia as a potential defense witness in support of his defense, in part, that he is not and has never been an associate of any organized crime family." 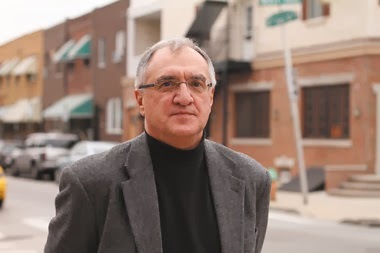 "Mr. Anastasia is the most eminent, knowledgable and long-standing investigative journalists on Philadelphia and New Jersey organized crime and had never received information of any kind linking Mr. Pelullo to those groups until, at the earliest, 2006."